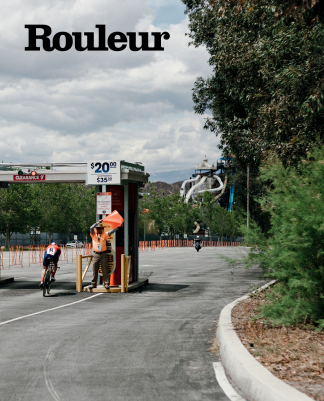 If competitive cycling is your thing and you appreciate the art of photography and writing, then Rouleur magazine is the best subscription for you. This top cycling magazine reviews the world’s biggest road cycling races, with exceptional photographs that capture the fast-paced nature of the sport sitting alongside quality editorial pieces and cycler profiles. If you want to learn more about the most famous cycling tours, a subscription to Rouleur magazine will give you a behind the scenes look at the most prestigious routes in Europe, covering everything from the Tour de France to the Giro d'Italia. Rouleur is an award-winning road cycling magazine established in 2006. It features exquisite photography and incisive writing, using the best photographers and journalists in the business. The magazine is highly collectable and is fast becoming a classic - with cutting edge design, superb production values and printing using the finest quality paper. Rouleur goes behind the scenes at the world’s biggest road cycling races, recording the workings of this incredible traveling circus – a speeding cavalcade that circles Europe each year. Whether it is the Paris–Roubaix, Tour of Flanders, Tour de France, the Vuelta a España or the Giro d’Italia, Rouleur provides unique insight into the Classics and Grand Tours, and into many of the other single day and great stage races that form the pinnacle of cycle sport. Rouleur conveys the essence, imagery, passion and beauty of road cycle racing. It is essential reading for all cycling fans, so why not join us by subscribing today? And, for as little as £36.00, you can get the magazine delivered to your door. Be the first person to tell us what you think about Rouleur and you'll save £2.50 on your next purchase!